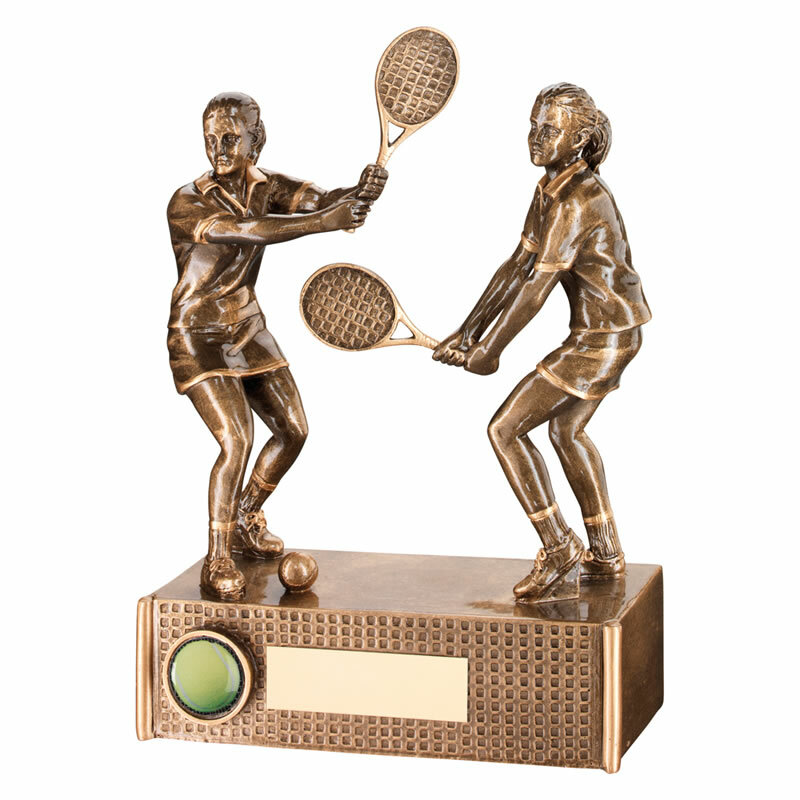 These resin trophies are ideal to recognise and reward achievement in women's doubles for tennis. They feature two figures of women tennis players in action set on a rectangular base with engraving plaque. The award stands 9in (229mm) tall and has a classic bronze and gold colour finish.